Very few people get the right amount of nutrients every day. To catch up, people are starting to use multi-vitamins more frequently and about half of all American adults take a multi-vitamin. Nutritionist Elizabeth Somer stopped by to gives viewers the basics in vitamins. 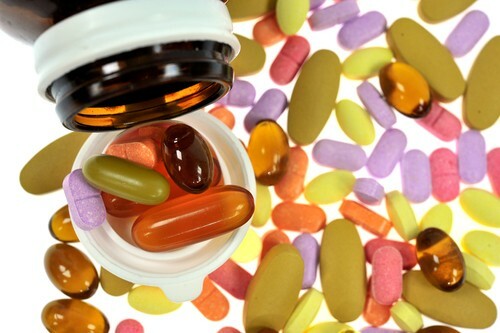 According to the Today Show, about half of all adults take a multivitamin. Somer recommended using multivitamins to catch up on the nutrients you miss daily. A broad range multivitamin has been shown to reduce the risk of cancer in men. She suggested Centrum, because they have a wide array of products that meet many needs. 99 out of 100 adults don’t meet the needs for their daily nutrients. The most common vitamins we miss are calcium and magnesium, Somer said. It’s important to drink milk and eat your leafy veggies, but if you can’t there are supplements to help. Somer suggested a vitamin that is two parts calcium to one part magnesium. Omega-3 lowers the risk for heart disease. DHA improves memory and reduces the risk for Alzheimer’s and depression. Somer said that there is a lot of new research supporting the use of Omega-3. Kathie Lee heard that algae-free was better for you, but Somer disagrees. Algae contains many of the nutrients that we can benefit from. Vitamin D is important and your doctor can tell you if you have a vitamin D deficiency. If you want to go all natural with your vitamins and supplements, go for chromium, selenium and vitamin E.
This week’s fan of the week is Glenda Sansone from New York, NY. She and her two-and-a-half year-old son, Dylan, watch the Today Show and he can recite the opening along with the show.